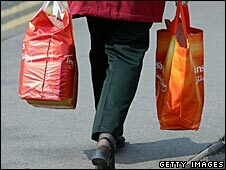 BBC NEWS | Business | Grocery inquiry: Success or failure? Grocery inquiry: Success or failure? The powers of the major supermarkets are set to be curbed by a series of measures recommended by the Competition Commission. And an independent ombudsman will investigate how retailers treat their suppliers. Retailers, campaigners and suppliers have been reacting to the report, which is the culmination of a two-year inquiry. "We are pleased that the market delivers a good deal for customers and that competitive rivalry is alive and well. "We are not sure that the main recommendations will improve the life of the British consumer. An ombudsman would be counter-productive and would reduce the benefits of competition. "We welcome the recognition of benefits we have brought to the convenience sector and that the Commission has laid to rest many of the original claims that led to this inquiry." "The overriding failing of this inquiry is that the commission views competition in the grocery market as competition between the big four retailers. "It is out of kilter with consumer trends towards more local shopping, and neglects the needs of many groups of consumers whose requirements are not properly met by the big four superstores." "The campaign to ensure that local shops, specialists and vibrant high streets have a place in the future of the market and the communities they serve continues." 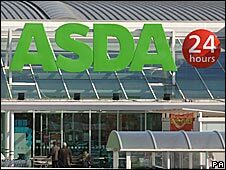 "It's clear that supermarkets like Asda deliver a good deal for their customers, and after yet another exhaustive investigation the Competition Commission has again reached the same conclusion. "While we welcome its proposals to improve local competition, and improve the relationship between retailers and suppliers, the bottom line is that any changes to how the market works must help us to lower prices and deliver an even better deal for customers. "The Competition Commission's proposals on the new code and an ombudsman could cost the industry hundreds of millions, leading to higher prices for customers which will hit families hard at a time when they are already feeling the pinch." Independent stationery retailer Jeff Stott-Everett says independent shops can compete with the supermarkets on service and price but find it impossible to compete with their massive marketing budgets. "It's up to consumers to decide whether they want independent shops or they just want the big supermarkets. "What I need is a million-pound advertising budget to go and tell everyone I'm the cheapest in town, even if I'm not - that's basically what the supermarkets do. "If I wasn't here, where would people go to buy blotting paper or carbon paper and the range of pens which they can actually try out first? "I think the ombudsman is a wonderful idea, so long as it does not get caught up in litigation, with supermarkets appealing against decisions and cases dragging on and on through the courts until they become irrelevant. Ray Brown sells his milk to dairies who then sell it onto supermarkets. "It has been very difficult over the last few years, a lot of farmers have gone out of business. 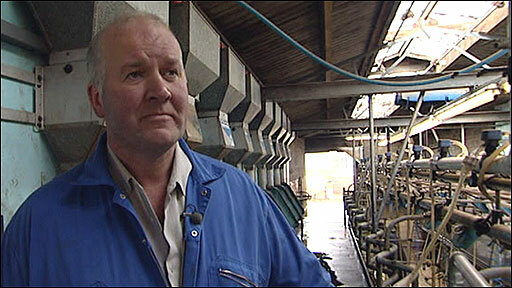 "If you are lucky you get 26-27 pence a litre for the milk, it is the same price as we were getting 11 years ago. "Supermarkets have a big score to settle there. The consumer then was paying 40 pence a litre, currently they are paying 57-58p. "The consumer is being quite severely ripped off by the supermarkets and we as farmers are getting realistically a lot less for our milk because our costs, including feed and fuel, have gone up. "The idea of the ombudsman, as long as he can arbitrate between the retailer and processor will work OK, but will it have teeth? I just hope it has more teeth and can start protecting the consumer. " "[An ombudsman] is an unjustifiable pandering to supplier pressure groups. "The Commission has not produced any evidence to show systematic failure in supermarkets' relationships with suppliers. "Despite critics' claims, the Commission did not find suppliers in fear of retaliation." “This report confirms that the ‘big four' supermarkets are the bully boys of the retail sector – bleeding suppliers dry and reducing shoppers' choice. “Urgent action is now needed to end the unfair treatment of farmers and suppliers. The supermarket watchdog needs to be appointed by government and it needs teeth. How to limit supermarket power?